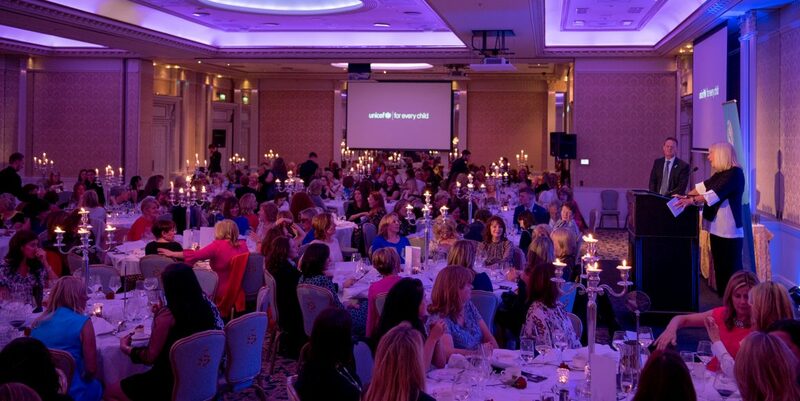 I am delighted to announce the details of this year’s 22nd Annual UNICEF Ireland Mother’s Day Lunch, which will take place on Friday, 22nd March, 2019 at The Shelbourne Hotel, Dublin 2. We would like to invite you to offer your support for UNICEF Ireland this year through your presence on the day. The Mother’s Day Lunch is a wonderful way in which to enjoy an afternoon with a mother, daughter, or friends. As always, the lunch will be filled with delicious food and beverages as well as fantastic raffle prizes. All proceeds from our Mother’s Day Lunch will go towards our Safe Motherhood Programmes. These programmes provide lifesaving assistance to the most vulnerable mothers and babies around the world. Each year more than 500,000 women die in childbirth or from complications during pregnancy. 99 per cent, of maternal and new born mortality occurs in the developing world, where more than 50 per cent of women still deliver without the assistance of skilled health personnel. UNICEF is working to put an end to the unnecessary deaths of women who die every day from complications related to pregnancy and childbirth. This is only made possible through the generosity of people who support UNICEF at events such as this. You can contact Shannen in the UNICEF office on 01 809 0276 or at Shannen@unicef.ie to reserve your table(s) and seat(s). We hope to see you there on the day!